Great for Holiday Giving or Sending VINTAGE HOLIDAY CHRISTMAS CARDS reproduced from the originals of days gone by. 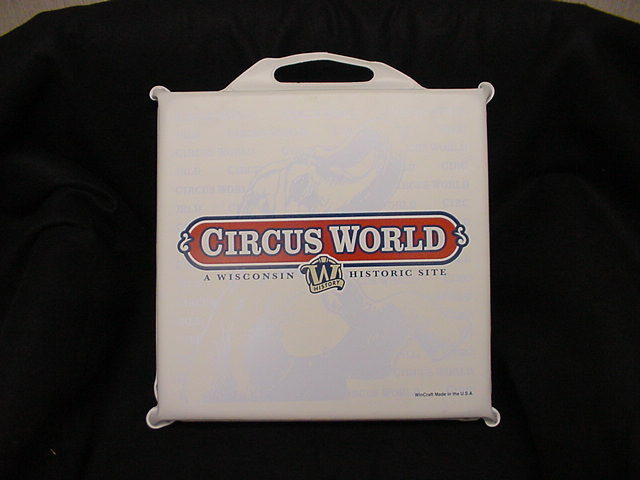 Taken from the collections of the Robert L Parkinson Library and Research Center at Circus World. These Cards have been perfectly reproduced for your enjoyment. 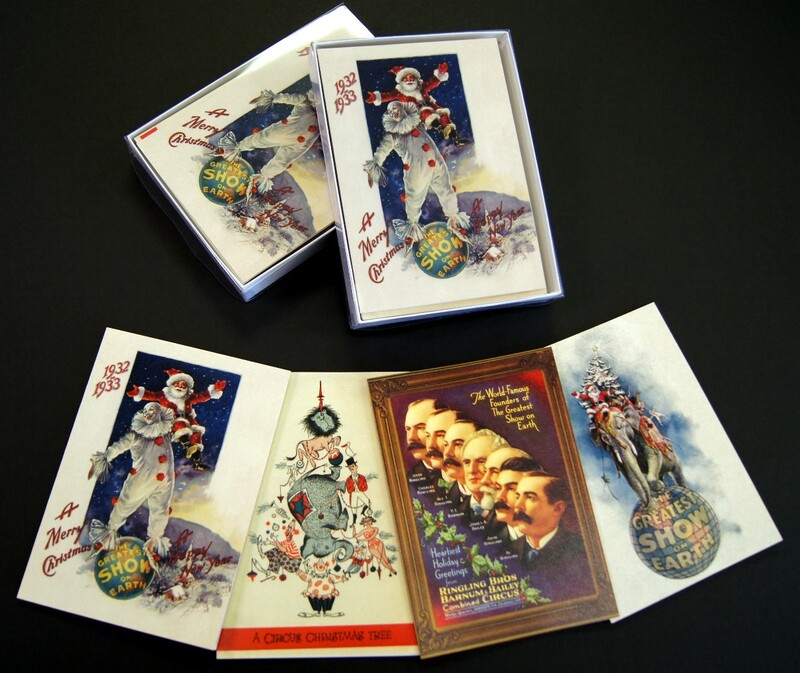 This boxed set consists of 12 cards of which there are 3 each of the four designs shown. All have appropriate text and a small reproduction of the front of the card on the inside. Envelopes are included, so they are ready for your signature and mailing. Order now before they are gone. Great also for gifting as you see the packaging.